So, you’re in the market for a new house? There’s a lot to do, a lot to consider, and it may not always be clear which steps you should take first. 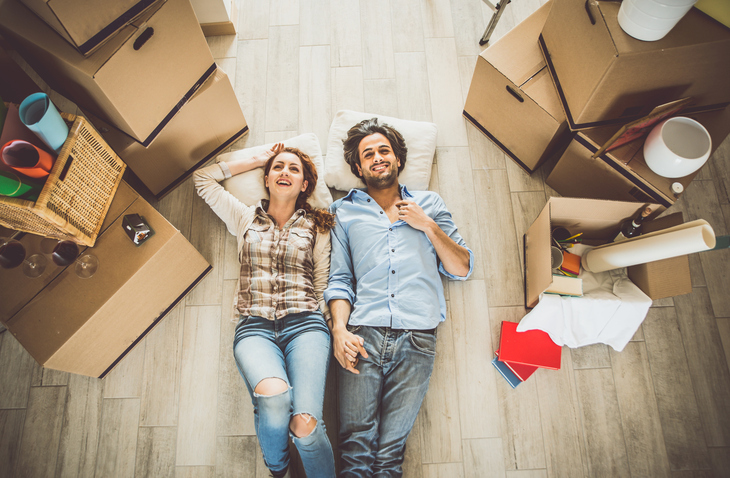 Wherever you are on your homeownership journey, here are six financial tips that can help you make sure the home you buy will be the home you love. As a rule of thumb, no more than one-third of your gross income should go to housing. When calculating how much of a mortgage payment you can afford, be sure to remember the cost of taxes and insurance on top of your mortgage’s principal and interest. Remember, there are other expenses related to owning a home, such as maintenance costs, home owner’s association fees, and utility fees that may be different from where you’re renting. Make sure you’ve accounted for those expenses before determining your price range. Virginia Credit Union regularly offers financial education seminars for home buyers and other consumers. Check out vacu.org for a list of current offerings. Organizations like VHDA and Housing Opportunities Made Equal also offer homebuyer education. Free educational programs like these identify and explain the key steps you can take to increase your knowledge and confidence when purchasing a home. Many mortgage lenders have programs especially well-suited to first-time buyers. VHDA, FHA loans, and USDA rural development loans are sound, reliable mortgages that can help first-time buyers and others when a large downpayment is an obstacle. For home buyers with the ability to put down a larger down payment, conventional loan options may be a better choice. Build up your savings and establish an emergency fund. Those funds can be critically important and can help you stay in your home even when job loss, an unexpected medical crisis or other emergencies temporarily reduces your income. If you get into trouble, communicate with your lender right away. Lenders are more understanding and willing to work with you if you have communicated with them throughout the process. A house is both an investment and a place to live. Those who think of the house as their home and treat it accordingly tend to be happier with their choices. Homeownership can offer financial benefits, but consumers should take care of their home and guard against taking unnecessary risks. Want to learn more about Virginia Credit Union’s mortgage options? Visit vacu.org to learn more. Virginia Credit Union is an equal housing opportunity lender and is federally insured by NCUA.